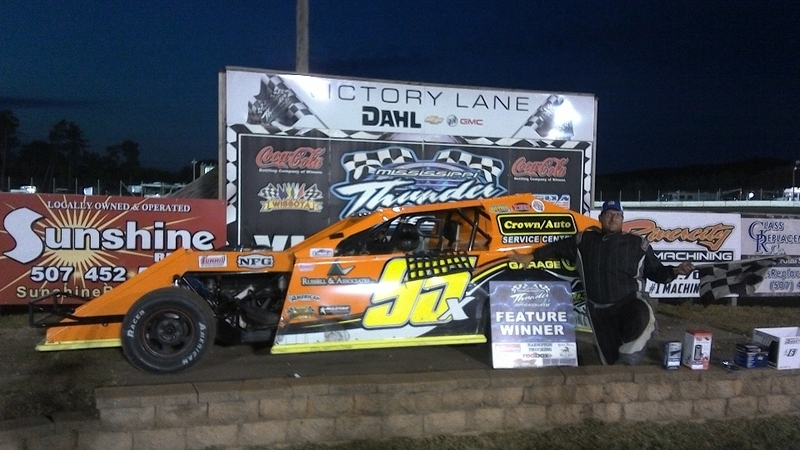 WAITS, HOFER, WALSKI TOP NAPA NIGHT AT MISSISSIPPI THUNDER SPEEDWAY! FOUNTAIN CITY, WI (Friday June 8, 2018) – NAPA Night at MISSISSIPPI THUNDER SPEEDWAY always seems to bring out the enjoyment of early-summer fun! This year's edition of the long-running promotion was no different; a V.I.P. Suite and V.I.P. Party Deck full of Becher's NAPA KNOW-HOW representatives celebrating a friday evening were joined by a full grandstand of race fans who were ready to challenge the angry forecast of earlier in the day - and have a rollicking good time on a night that turned out to be almost perfect, weather-wise! All of this fun elevated, to an entirely new level, by the exciting on-track action that played out through the night! The Rivercity Manufacturing USRA Modified feature was fun race to watch - if, for nothing else, to experience the dominance presented by Brad Waits behind the wheel of his black #24 NFG / KickAss Beef Snacks! 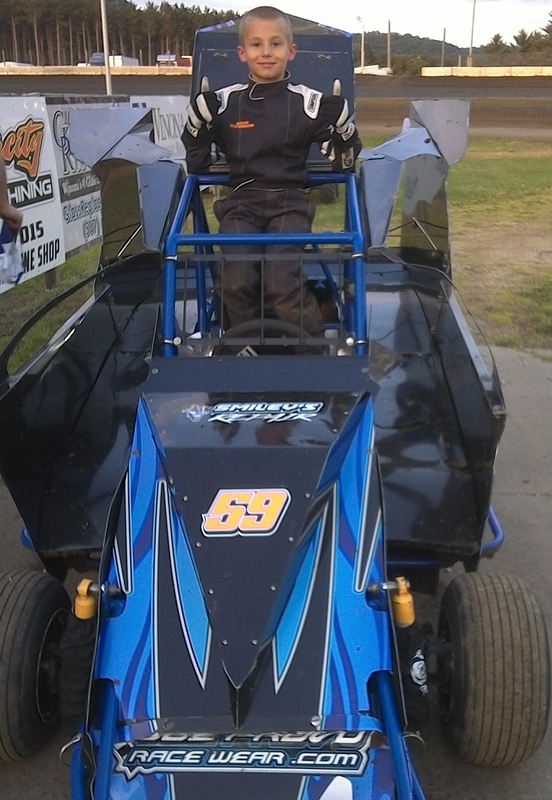 Not only did the 2015 MISSISSIPPI THUNDER SPEEDWAY Track Champion turn in the fastest lap of the evening; a 15.9 second circuit that turned in an AVERAGE lap speed of 85 miles per hour . 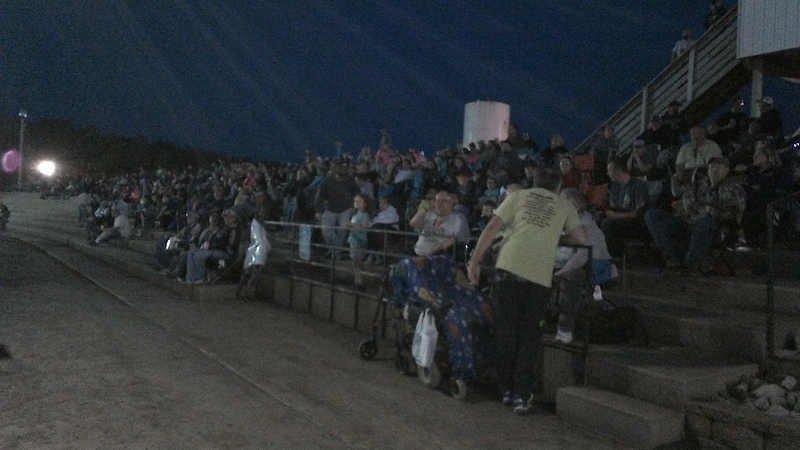 . . Not only did the Rochester Racer present the fans with the ONLY sub-16 second lap of the feature . . . Not only did "The Man In Black" add to his already lengthy list of success at this, and every other track he visits . . . he lead the feature flag-to-flag and never once gave up the top spot in the running order on his way to Victory Lane! Despite Waits run out front, the battles for position were still entertaining! 2009 Track Champion John Doelle and 2013 & 2014 Track Champion Jacob Bleess spent the entire "NAPA 25" feature trying to out-do each other while searching for an opportunity to, perhaps, close the gap on Waits and throw a challenge at him for the lead. All the while Bleess and Doelle were battling, defending Track Champion Josh Angst was working over-time with the likes of Kylie Kath, Keith Foss and Jake Timm, just trying to stay in the top-5. After the dust had settled, it was Bleess, Doelle, Foss, & Angst completing the top-5 behind Waits' feature winning #24. Ask a race fan who's the man to beat in the Centerville Welding & Repair USRA Late Model class at MISSISSIPPI THUNDER SPEEDWAY, and 99.9% of them will respond Lance Hofer! Friday night he showed why; winning his fourth straight Late Model Feature presented by Big Toy Storage - extending his winning streak as the ONLY Late Model feature winner in 2018! 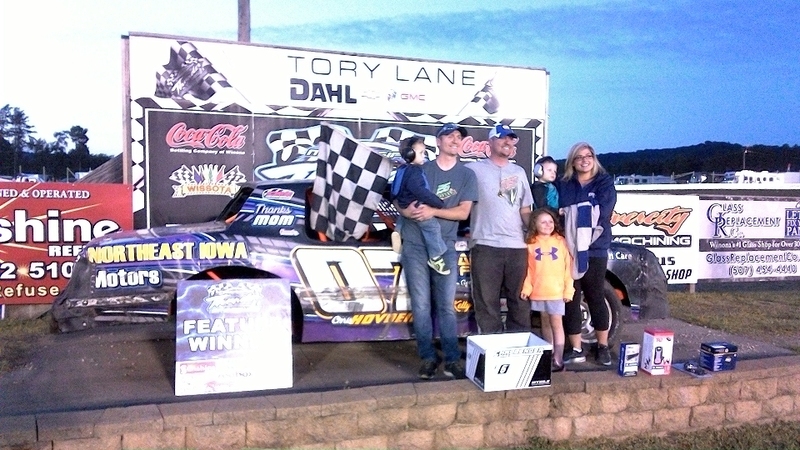 Ask Lance Hofer how his season is going, as he was in Victory Lane, and his answer might be a surprise, "Well, there are still some improvements we can make to the car. I don't know about the driver, but the car can be even better!" 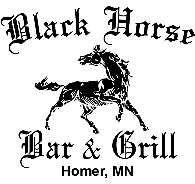 joked the Cochrane, WI racer. Surprising, yes, when you consider the fact that Hofer laid down a 15.3 second lap (almost 88 m.p.h. average lap speed) and lead the nearest competitor to the checkered flag by almost FIVE seconds! The competition has their work cut out for them . . . 2016 Track Champion Justin Sass is close (finishing second Friday night), Troy Langowski and Shaun Mann are showing their teeth as potential challengers; while Late Model new-comer Alex Williamson has put the rest of the division on notice - he may be the real surprise of the season, already challenging up front with less than a handfull of starts behind the wheel of John Duffy's #47! 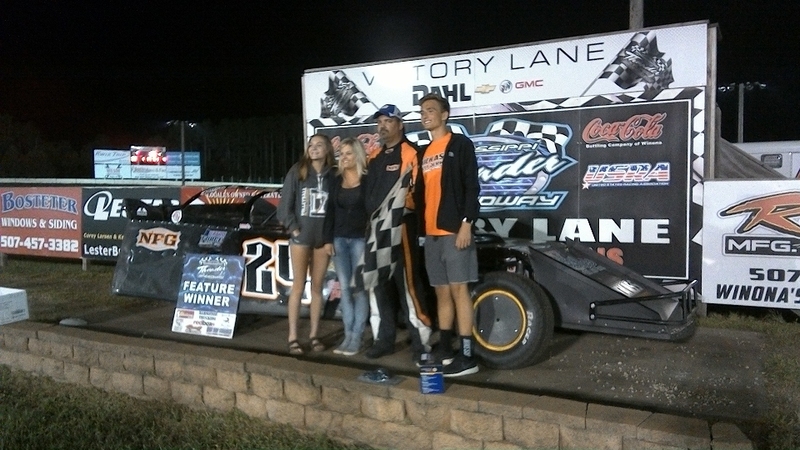 Shaun Walski produced one half of the 'feel good story' the previous week when he won the "Forever 400 Dale Northrup Memorial" B-Mod feature. This week he backed it up with his second win in a row. "This class is SO competetive," he commented earlier in the evening, "if you're not improving every single night (or at least TRYING to improve and get just a little faster), then you're not going to be at the top very long." 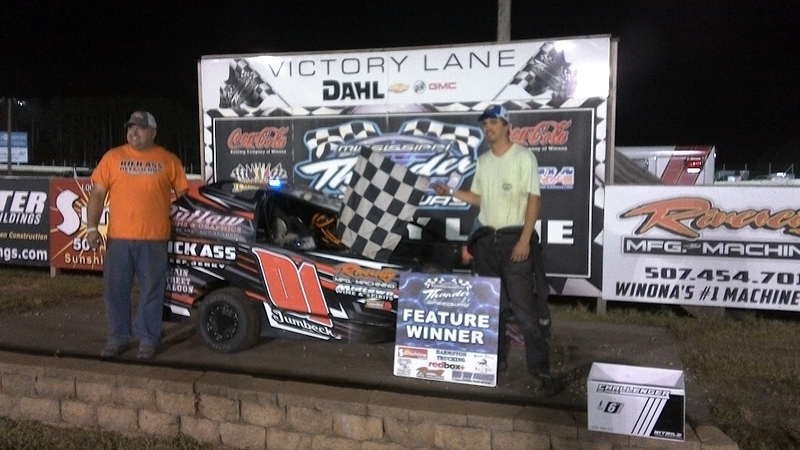 Walski proved that he will not rest or relax, even with a feature win the prior week to lean on, as he charged to the front of the field in the closing laps of the Black Horse Bar & Grill USRA B-Mod feature to steal the win from the #3A of Taylor Ausrud. Behind Walski was, perhaps, the comeback driver of the week; after rolling his car over the prior week, Parker Hale came from the fifth starting row to finish a close second, just ahead of Ausrud! 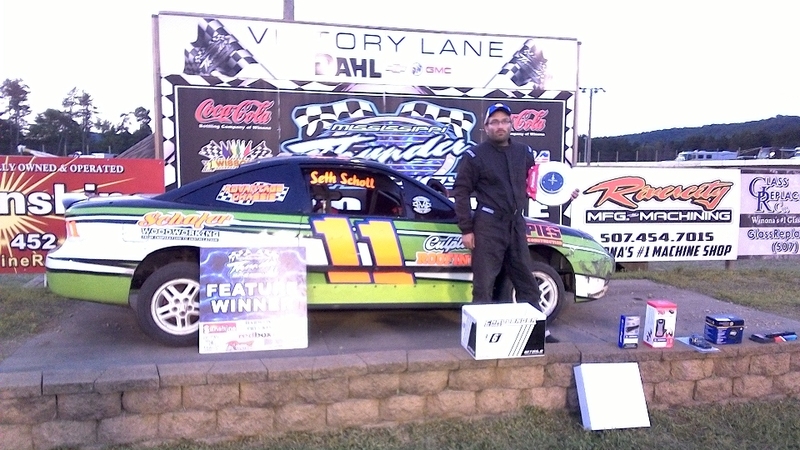 In a Jailhouse Saloon USRA Hobby Stock feature that appeared to belong to former feature winner Brady Link, we'll forgive any fan who didn't see the finish playing out as it did. Link took the lead on lap two and, based on prior success at MISSISSIPPI THUNDER SPEEDWAY anyone would be forgiven if they predicted a run-away feature win for the Waukon, IA racer. But, fellow Iowan Chris Hovden had other thoughts. Hovden put on a methodical effort, slowly but surely working from his fourth row starting spot to first reach the leader, and then pass the leader just in time - as in, turn 3 on the final lap, charging to the checkered flag! Link settled for second, with Steve Dwyer in third. Kyle Jumbeck is known for regularly running his #01 redbox+ 600 Mod higher up the banking that all of his competition. Friday night he seemed almost on a mission to show the noone could run higher! Competitor Cody Gardner moved his #1 up to the top of the banking - running a Jumbeck-esque high-line. Many might have thought the track had gained a new 'rim rider' . . . until Jumbeck took the challenge and seemed to produce, almost, an entire NEW and HIGHER outside line! Inches off the wall, Jumbeck found the speed and momentum needed to grab another feature win - holding off former Track Champion Greg Wohletz, former feature winner Chris Gilbertson & defending Track Champion Bruce Schmitt on the race to the checkered flag. Holmen, WI's Seth Scholl has been chasing the checkers for a while - after Friday, he can finally check that goal off of his "To-Do" list! 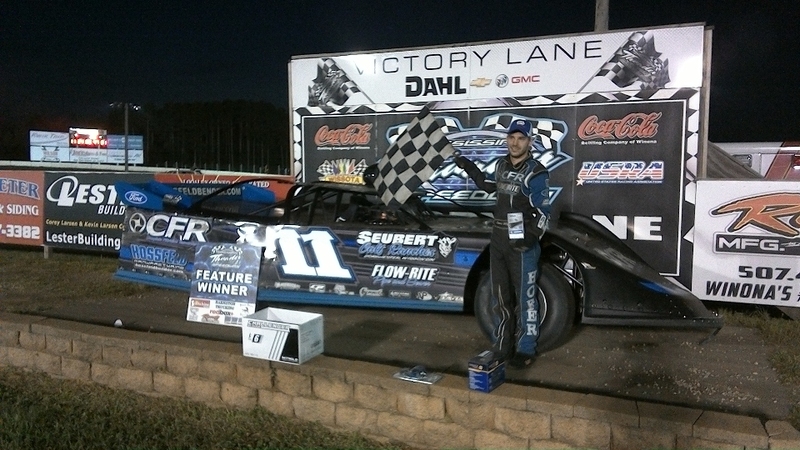 He raced his #11 to the front of the Harmston Trucking MTS Hornet field claiming his very first feature win at MISSISSIPPI THUNDER SPEEDWAY! He was followed across the line by Johnny Severtson and Defending Track Champion Jason Schloegel in second and third, respectively. 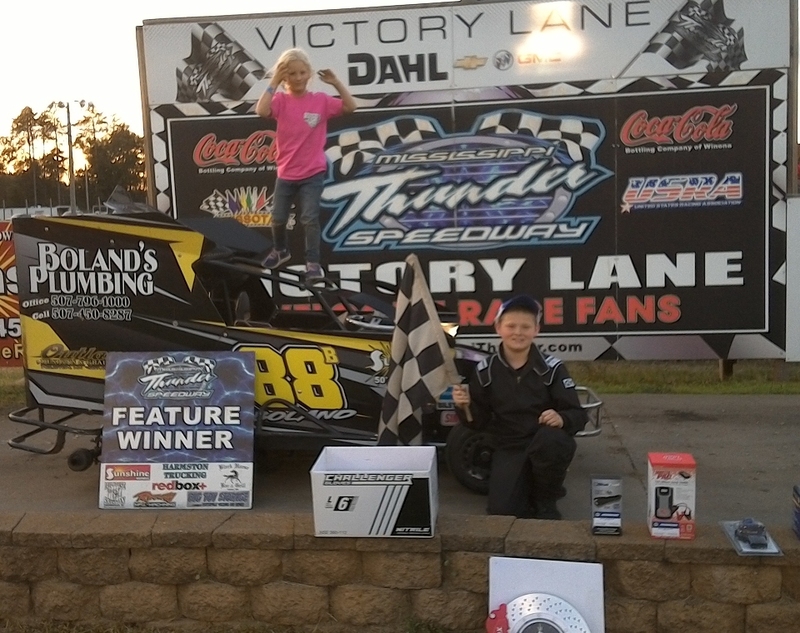 Brady Boland raced his #88B past the #29 of Lilli Reps to grab another Sunshine Refuse SR Slingshot feature win on The LIGHTNING SPEEDWAY, while Mason Stockhausen made it two in a row with his JR Slingshot feature win. 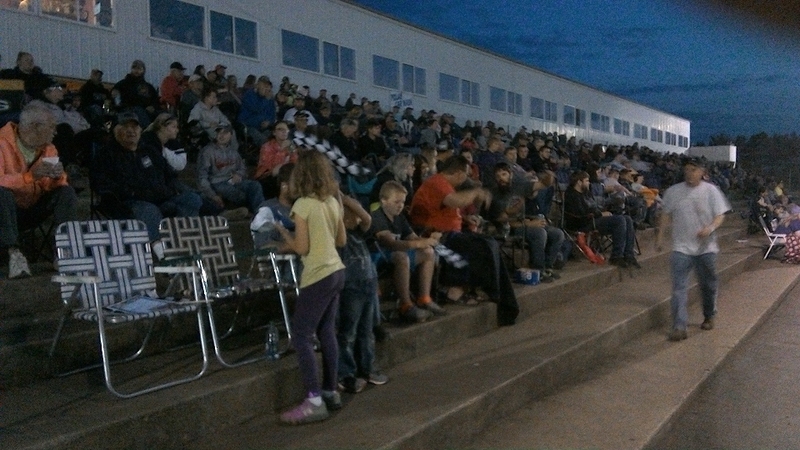 MISSISSIPPI THUNDER SPEEDWAY will once again roar to life Friday June 22nd with SEVERSON OIL Community Night - $10 admission to all Military / Veterans (with ID) and for every adult grandstand ticket sold, MISSISSIPPI THUNDER SPEEDWAY will donate $3 to the Cochrane- Fountain City School District! Military / Veteran Grandstand admission just $10 (with ID)! RESULTS - FRIDAY JUNE 8th - "NAPA Night"